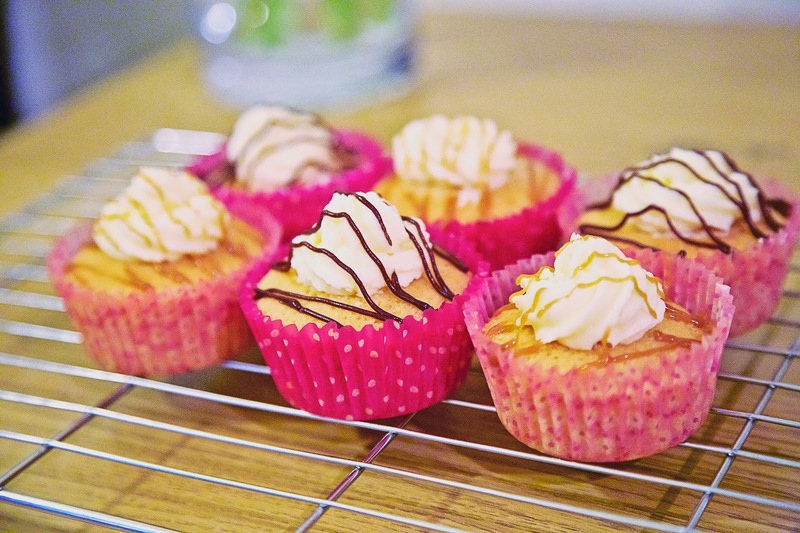 Baking cakes is one of my favourite things to do, but sometimes I just want a small treat and not the hassle of baking a whole batch of cupcakes or an indulgent sponge. When that time occurs I often make a very small batch of fairy cakes, sometimes just enough for two or half a dozen if I'm making enough to share. It's very simple to halve a basic vanilla cupcake recipe but there are also lots of recipes that make one or two single cupcakes available on Pinterest. On this occasion I wanted to make just enough cakes for a mini-picnic with my sisters-in-law and my niece and nephew. 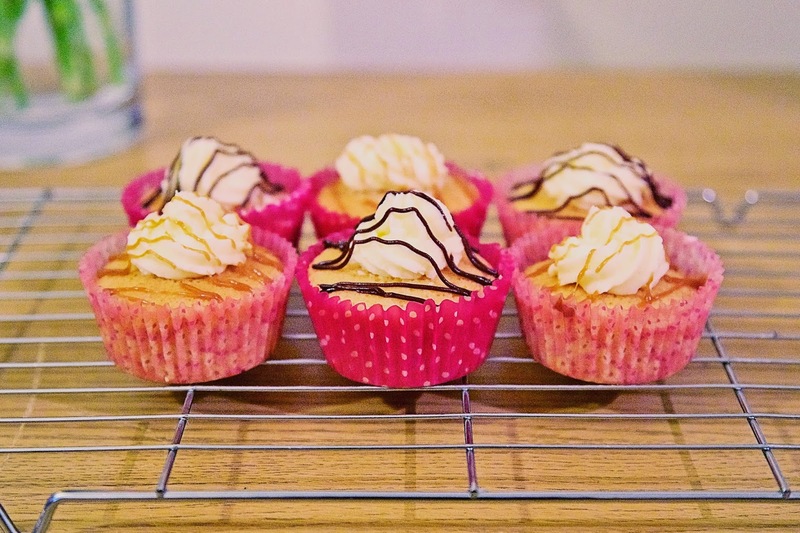 I decided on fairy cakes instead of my usual cupcakes as the latter can be a bit too much for little people! I quickly whipped up a batch of vanilla cakes using an egg, margarine, self-raising flour and caster sugar and while they were in the oven a made a small batch of simple vanilla buttercream. To decorate I added a small swirl of icing in the centre of each cakes and topped off with chocolate and caramel flavoured writing icing that I had laying around! 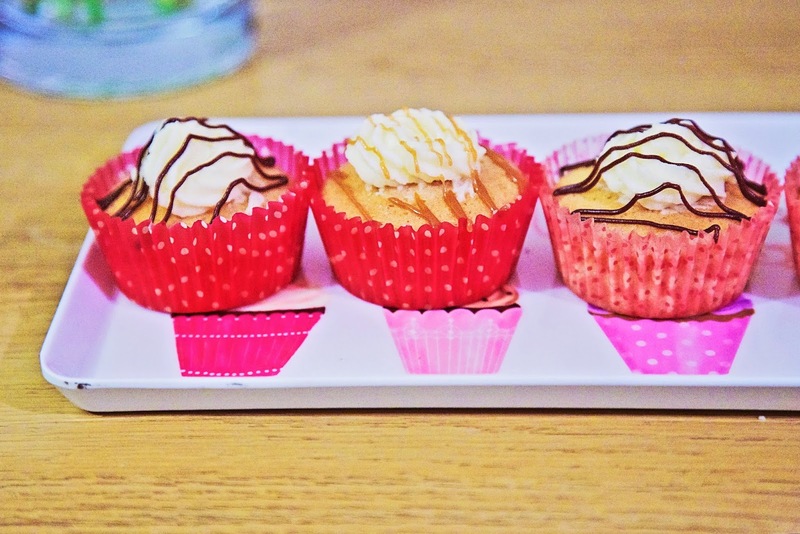 These little fairy cakes are so quick and simple to make they are perfect for when you are in a pinch! They took less than an hour to complete and still taste and look really good. The mix of vanilla with the chocolate sauce even tasted reminiscent of a 99 flake ice cream! I definitely recommend that you make some next time you need a little treat or something to bring along to a picnic or party.